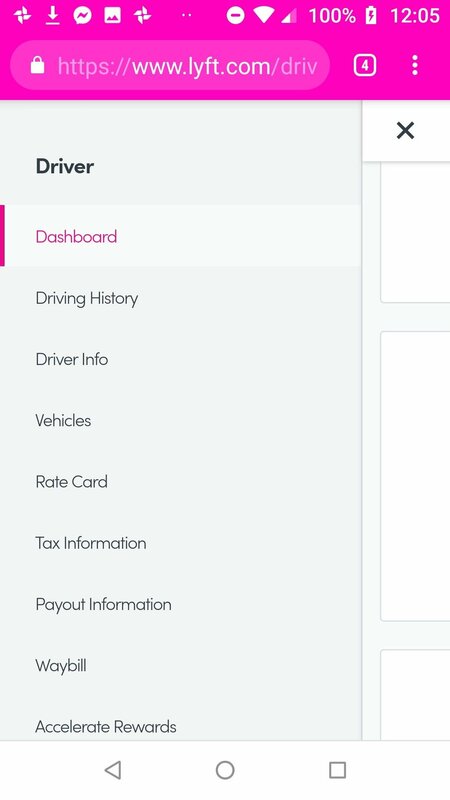 I have been driving for Lyft part-time for the last three years or so and have given 1000+ rides. 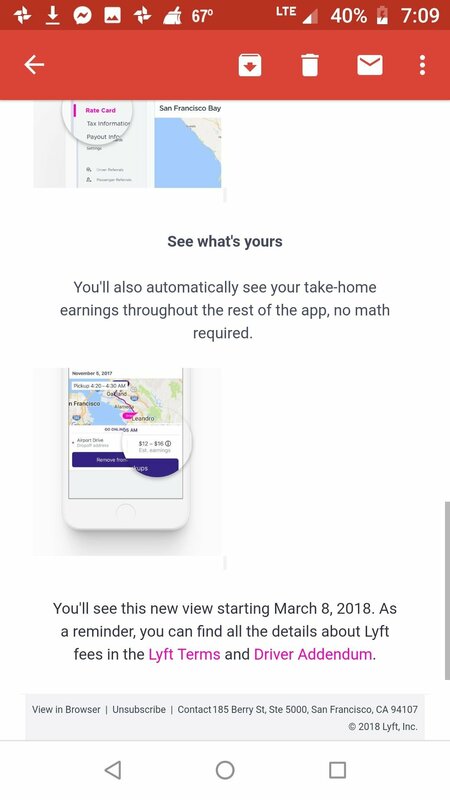 I always thought of Lyft as a honest, caring company and I preferred them over Uber, primarily based on reputation and I just recently started driving for Uber a few months back, and here's why. Uber never lied to me or at a minimum "decieved me". This isn't about promises of making $35/hr. (I technically earn less than $5/hr in the situation I will describe below) or thep poachingof drivers that goes on with both companies. This one to me is dubious..."sneaky" at best. Note that the map is outlined and stretches all the way from the coast of San Francisco to Brentwood, CA which is about 50 miles East. On that same page you will see in bold letters "This is the amount you'll take home" and you'll see exactly what you will be paid... But not so fast! Kids, always read the fine print. What?! That's not what I was lead to believe I was earning when I clicked in the Rate Card from my Dashboard the first time! Actually I probably missed it three or four times. 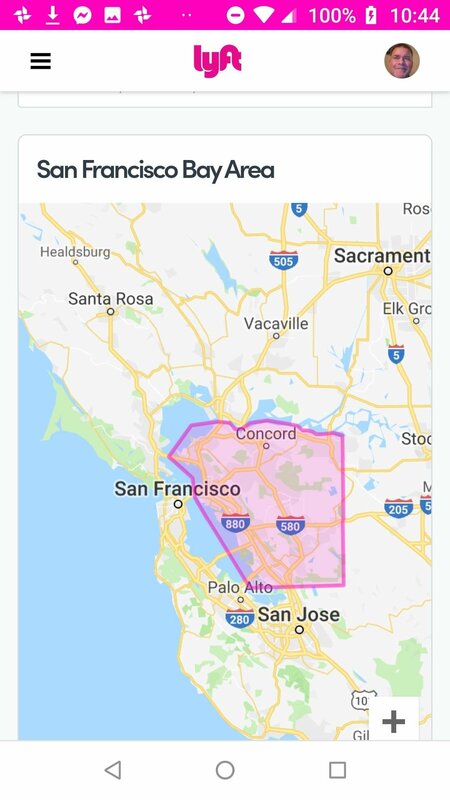 Based on some "deep Googling" it appears this has been going on for years (East Bay pricing being less than SF and a few surrounding cities) in very unclear backhanded ways. 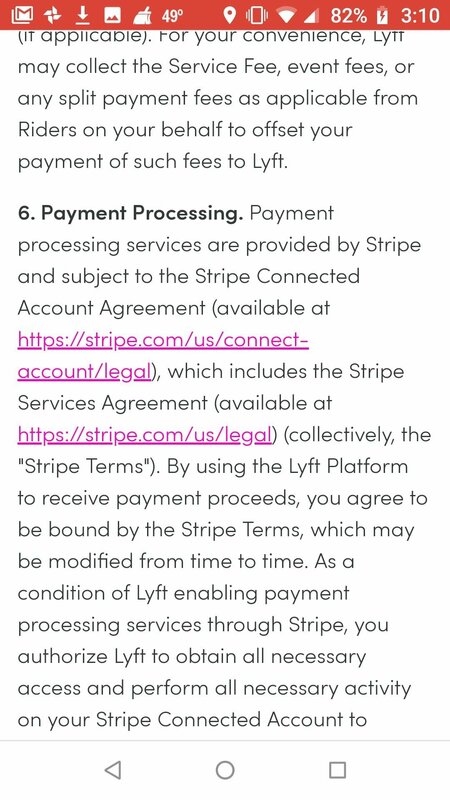 I recently found an email from Lyft that links to an addendum that I missed, but it is equally tricky to understand and not upfront at all. 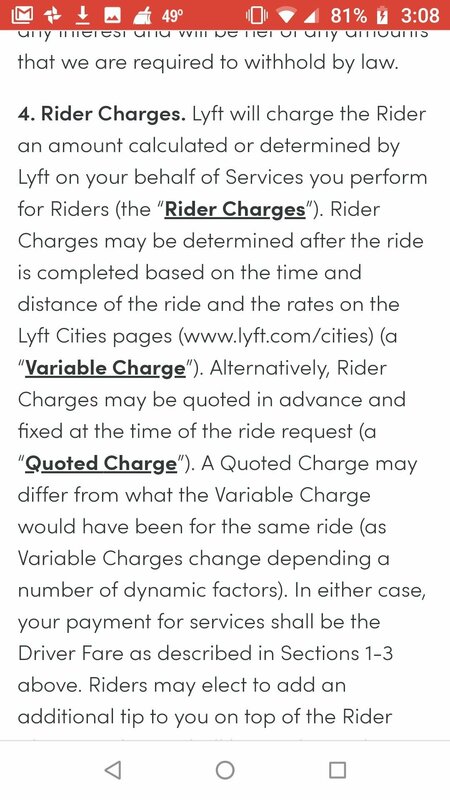 Here's the mention of the addendum from March 2018 (the last part- to see the amendum in it's entirety, you'll find it after I finish with this "San Francisco Bay Area" rate card business). Consider it "extra reading" for those who like all the details. 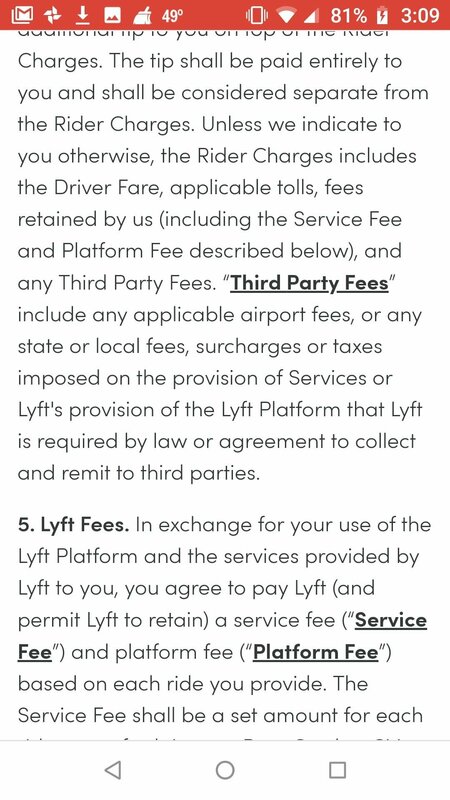 This an email that talks about how much more transparent and upfront Lyft will be in the near future... Yah, right. "Addendum" right there at the bottom of the long email. At least it's in Lyft Pink. 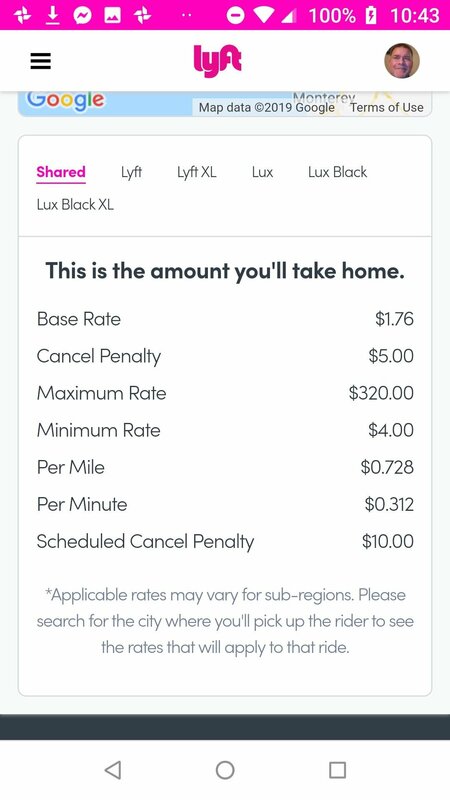 Based on the Rate Card, a 10 mile, 20 minute ride starting in San Francisco would pay $15.28* but pretty much anywhere else is the "San Francisco Bay Area" the same ride/amount of work (though it is a bit more difficult to drive in the city, admittedly) would pay $12.04*. If I gave 10 similar rides in Oakland or anywhere else other than the city of San Francisco & few surrounding cities I'd make $120.40 (minus expenses of course)*. In San Francisco I'd gross $152.80*. That's nearly a 25% difference in pay. 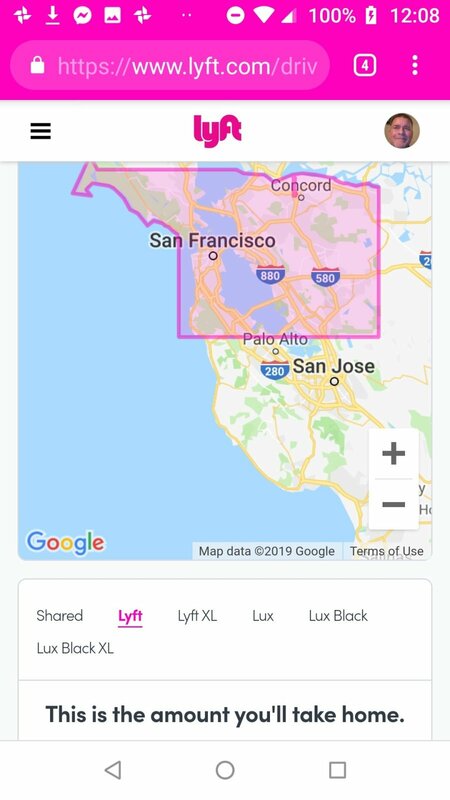 If one we're to drive and make 10 similar rides 5 days a week for 50 weeks they would earn $8,100 less than Lyft claims (IMHO) in most of the "San Francisco Bay Area". Remember "The Battle of the Bay" in 1989? San Francisco Giants vs. Oakland Athletics. Oakland is and always has been considered part of the Greater Bay Area, AKA The San Francisco Bay Area, as is every city listed and more. Note that both maps have the same title: "San Francisco Bay Area". Why not just say "This is what you'll take home in San Francisco" and "This is what you'll take home in the East Bay"? My guess is this is the work of a corporate machine that may have started out with good intentions but clearly lost their way and let greed take over. Lyft? I thought you were supposed to be the "Good Guys" and I've always heard you "treat your driver's better" than Uber. You have a reputation to uphold and this is not how you should be doing business. I feel duped. Fine print. Boo!. I'm an independent contractor and as a person who believes honesty is the best policy, I'm not happy with this type of blaintent deceptive advertising (as I see it). 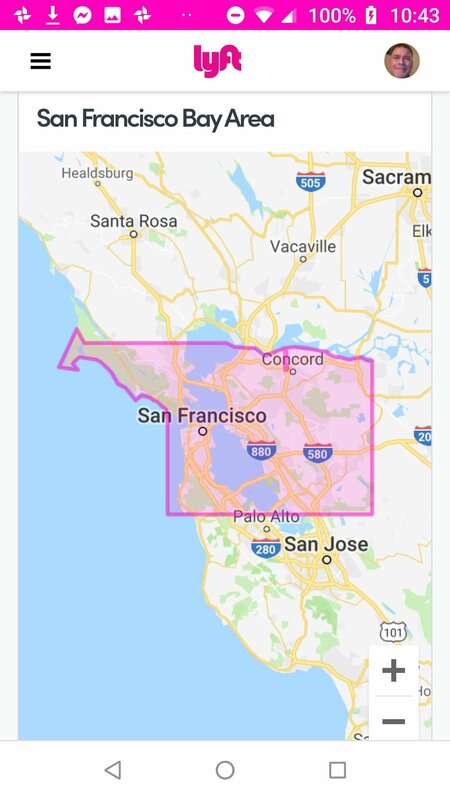 I am now 90% an Uber driver but I don't want to not be able to use the Lyft platform if the Uber app goes down or there's a situation where I can make more money driving with Lyft. I need the money. Sadly, I've read stories of driver deactivation handed to those who speak out publicly. 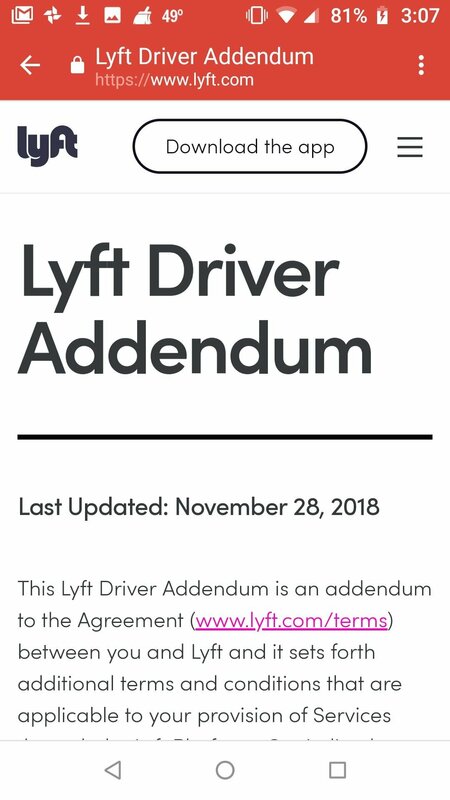 Lyft, I hope you do not deactivate me- this is America and freedom of speech is at the core of our democracy and our constitution, so please think about it before you hit that button and send me packing. Seriously, think about it. I probably would tell you to "kick rocks" and leave you in my proverbial rearview mirror if I weren't so in need of a flexible schedule and money in my pocket. II still have hope you will be the company who decides that it's worth saving a life with my Amber Alert idea or maybe you'll use my Stop Smoking campaign... Please change the way way you use the fine print- it's an underhanded and outdated business practice and who knows how many other places in America where you do business this way? Lucky for you, I get about 100 visits a month to this website and I'd estimate 1% of those visitors will read this, but it feels good to vent, so please do the right thing and stop your deceptive ways. I also always thought Uber was bad for "poaching" your driver's, but you are doing the exact same thing, no? Have people pretend to be passengers who really are essentially recruiters? I know, Uber started it and Juno followed suit. It still doesn't make it right. Profit at any cost? Or should I say growth at any cost? That's a big keyword in an IPO from what I've read. Now only if you could somehow start another #deleteuber2.0 campaign... I digress. I can't be the only person to have brought this your attention and it makes me wonder if you have grown just a little too fast as a company, a conglomerate really. Big ships turn slowly but you have acted quickly (entering the bicycle/scooter/self-driving car market, releasing the Amp etc.) and while some may praise you for implementing the"Jeff Bezos/Amazon" way of doing business (forward thinking, fast decisions and faster implementation) by turning that giant ship on a dime, I think you may have lost your core values as a company, a ship without a pilot, caught in a blizzard. Drifting. You might say in the way Uber once was, but you know what? Uber has been great to me and they've gone through many ups and downs but for some reason you have not. Maybe this is the growth opportunity you need? FIX THIS AND I WILL GLADLY REMOVE THIS ARTICLE. I am a reasonable person and my goal is not to hurt you, my goal is to help you change for the better, and fix this... not just with this one issue but all the decisions you will make in the future. Until then, I genuinely feel like you tricked me and that is upsetting. 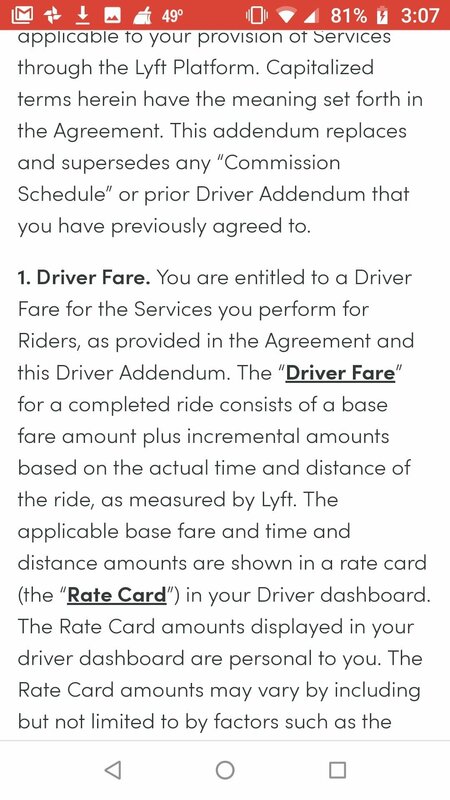 I wonder how many other drivers assumed your Rate Card for the "San Francisco Bay Area" was their Rate Card (the addendum does state that each driver's Rate Card is unique to them). You sure don't put the "other" "San Francisco Bay Area" Rate Card front and center, do you? 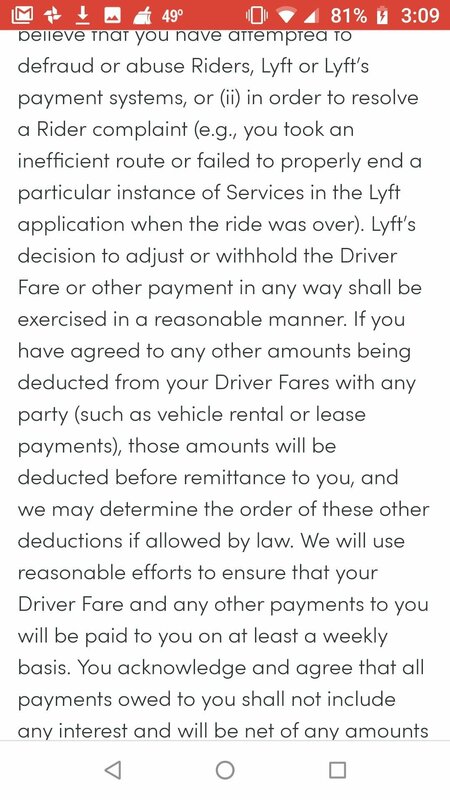 Lyft, I'm writing this to you. For you. And for me and for thousands of other drivers who either don't know or are too afraid of deactivation to speak up. They may be wise in their choice if that's the case, we will see. I try to think of one of my favorite quotes and I think AFTER I post this, I will simply chose to forget you and chalk this up as a learning experience- no matter how trustworthy, honest, caring ANY company may seem, the goal of starting a business and running a business is to make money and nothing tops being a publicly traded company, so congratulations on that note. To be successful. To one day have an IPO. 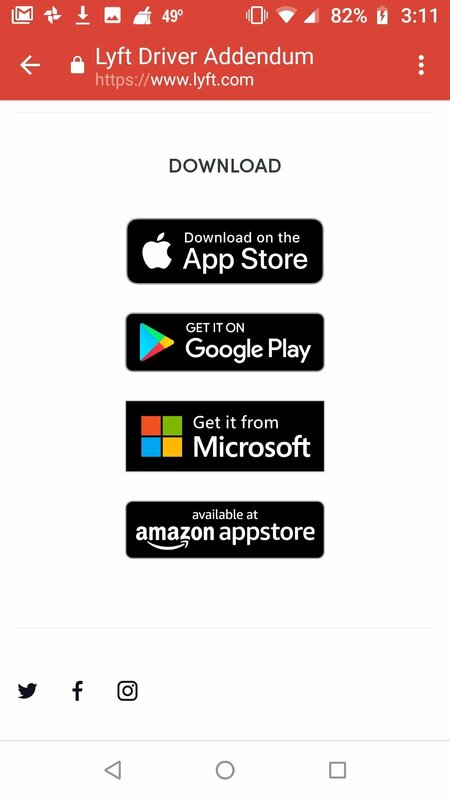 I hope my tiny little website that only looks good on a smartphone and has no logo or motto yet, not much direction or even as much a single sale and no employees will eventually make money. I will reflect on writing this when faced with a decision where I have to make a choice like you made when you created this fassad in the name of money. 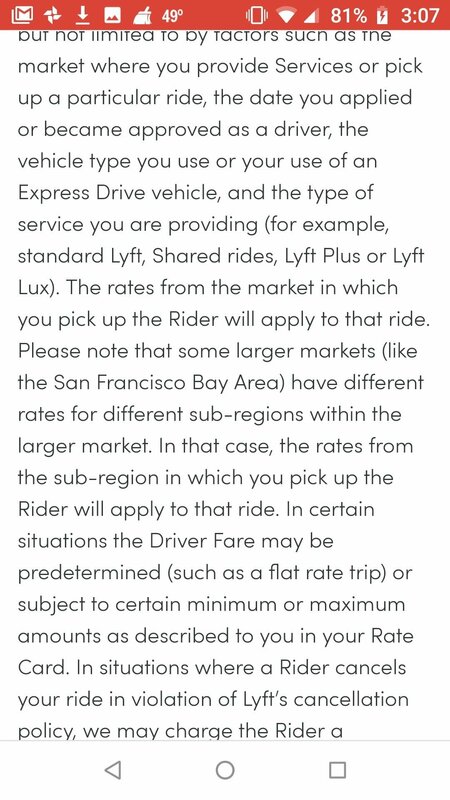 Two "San Francisco Bay Area" Rate Cards... It's almost comical. I do not consider myself to be greedy but if you put me under a microscope you won't find a perfect person. Nobody is perfect. We're all human and my guess is that this very issue I speak of was analyzed over and over and in the end, humans made the choice, but not everyone at Lyft, Inc. could be to blame. It could have been a decision made by one imperfect person or a team of imperfect people. Or straight from the top. I do not know. What I do know is Lyft is ultimately responsible for it's employees actions and while you've relished and profitted from Uber's past mistakes such as the scandals that triggered the #deleteuber campaign that took your user base to a completely higher level, you should take a good look in the mirror. Decide what type of company you really wan't to be. You can focus solely on transportation or maybe, just maybe, you can do more for this world. With over 1000 engineers at your disposal and billions of dollars in your coffers, I think you can make a difference and while right now I am pretty much disgusted with you, I also am rooting for you. Just not today. Not this post . "A man that studieth revenge keeps his own wounds green." Let's squash this Lyft. Please make the change and truly be more transparent. I hope my voice is heard and to be someone who is a voice that creates change. Positive change. What can I say? As promised, I will remove this article if you simply say "Yes you are right, thank you for bringing this to our attention. It will be fixed by the end of the month." If It's posted anywhere else online, I will make sure to let the public know you actually do care and you are going to make a change in your business practices, starting with this issue. I am a man of my word. 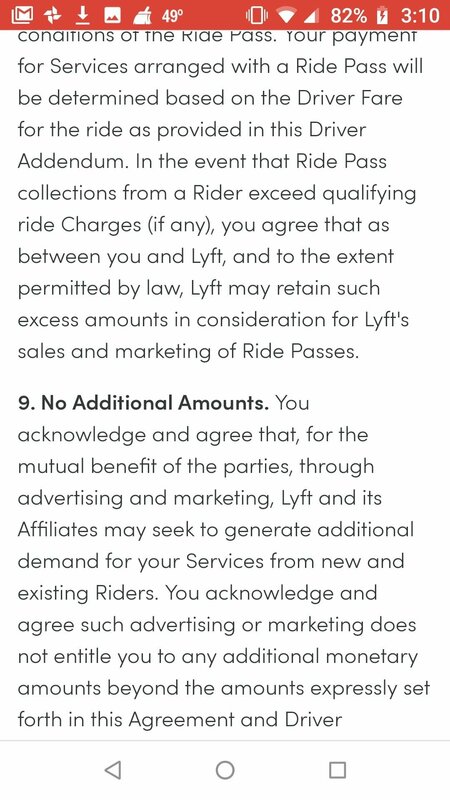 Again, Lyft, I am rooting for you (to do the right thing, to succeed and to make a positive impact on this world) and I still have hope that this will be a turning point for your company and be seen as constructive criticism that helps bring honestly, truth and transperancy to all of your future actions and business decisions. 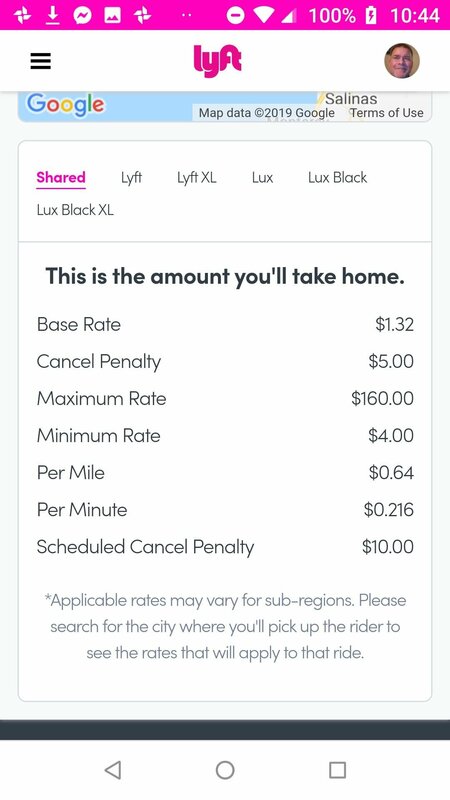 10 identical rides/day in the East Bay = 8 hours = $15/hr, minus 150 miles (includes driving without a passenger) minus gas, insurance, tires (standard tax deduction of $54.5/mi) = $120 - $81.75 = $38.25 = $4.71/hr.... Who's getting rich here? 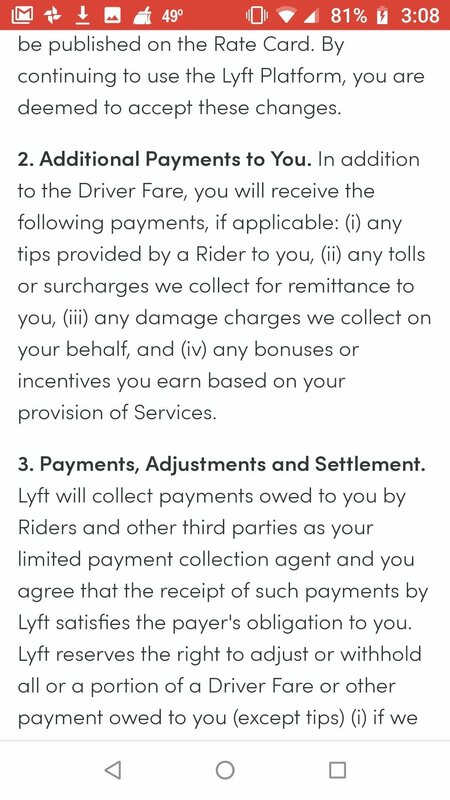 ** Please everyone, TIP YOUR DRIVER! Thanks! 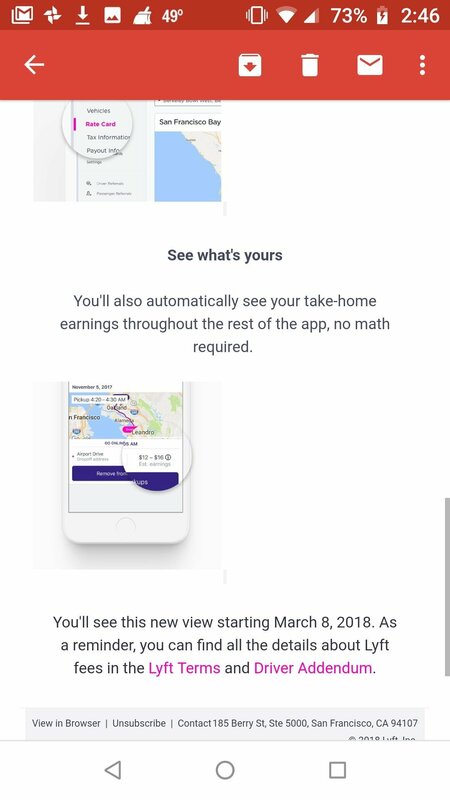 ** Lyft IPO estimated $20-$25 BILLION valuation, Uber estimated $120 BILLION valuation (as of 3/17/19). 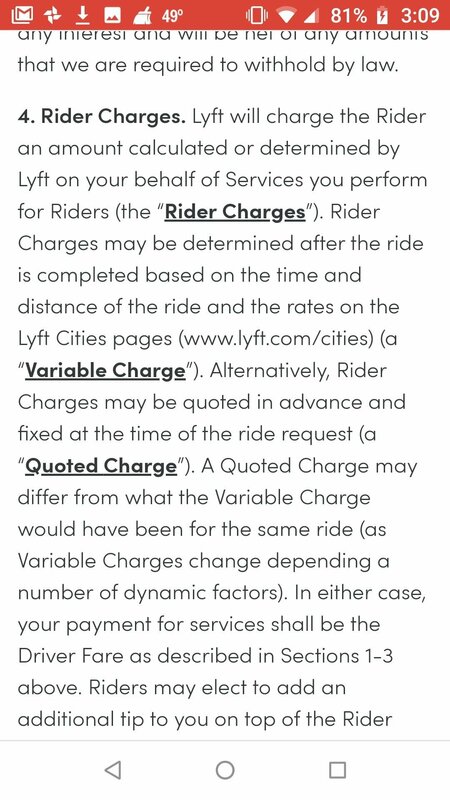 *Calculations are based on Base Charge + Miles + Minutes as shown in thet Rate Cards listed above. 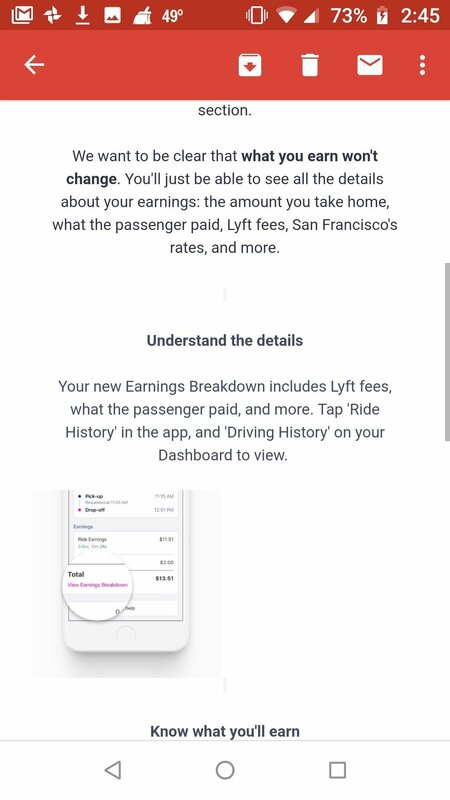 Shared rides payout at the same rate as regular Lyft rides. Finally, its okay to reproduce this article in part or whole (with edits as needed- it's late and I'm tired) as long as credit is given to "UnbeatableBid.com- Best Price Solar in California" or just UnbeatableBid.com. We are a contractor referral service focused on solar and yes, we (me) hope to one day be a profitable company and one of the reasons I wrote this article is because I've heard "content is king" when it comes to creating a successful website. I hope you enjoyed reading this as much as I enjoyed writing it. Thanks! The email screenshots, thanks for scrolling down, way down! There's that "Driver Addendum", right there at the bottom, clear as day. Thanks Lyft! 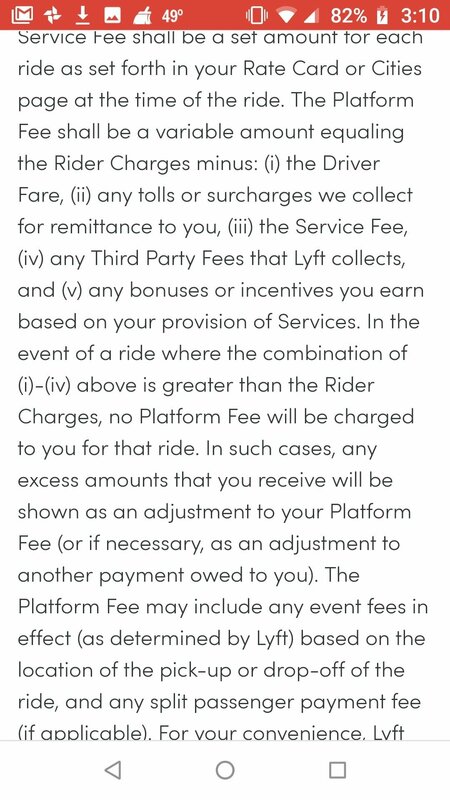 You made it so clear that drivers would be paid way less in 75% of the "San Francisco Bay Area". 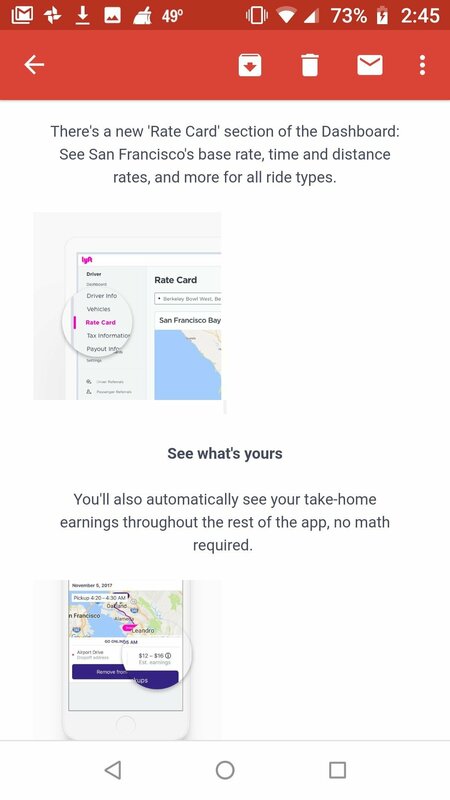 Come on now... "No math required" but you sure don't mention the fine print and I may have missed it, but I don't see any mention of "Sub-Regions". 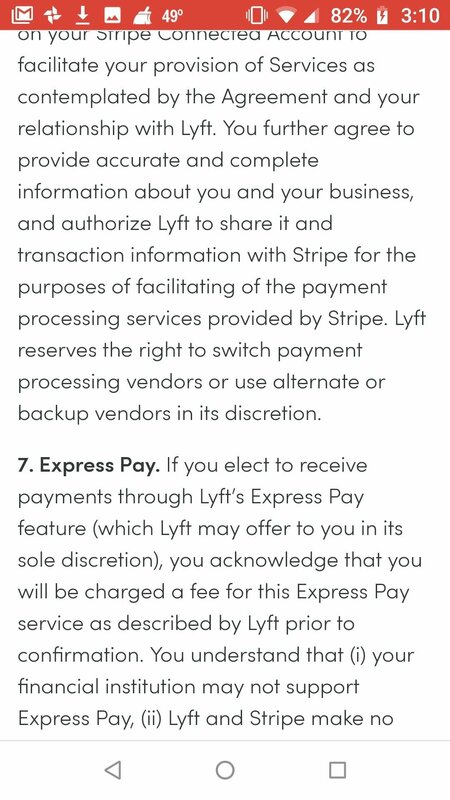 I'm very curious to know if prior to this new "transparency", had you only been showing the Rate Card for the city of San Francisco with the same outline of the entire "San Francisco Bay Area" while actually paying out less without informing drivers? I'm not sure, but the way you sort of slipped this through the cracks and made it look better, makes me wonder. You do say "what you earn won't change" which leads me to believe or at least makes me wonder if that is the case. 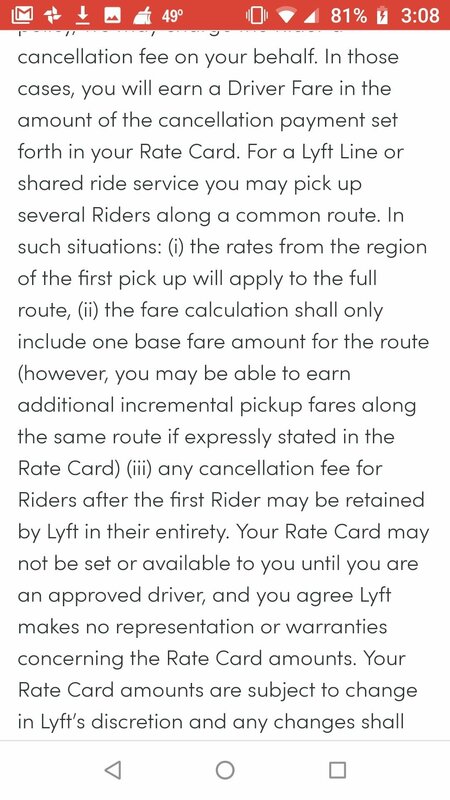 Was there no "Rate Card" prior to the release of this new system or was it simply the rates only under a different name? It wasn't until a few months ago I discovered the "Sub-Region" small print and am I wrong here to say that most likely most drivers in the East Bay thought the rates that popped up when they clicked on the "Rate Card" button ard saw t big outline stretching over 50 miles in length and those bold words "this is the amount you'll take home", were actually the amount they would take home? I feel like ONE of us is wrong and maybe you'll read this or someone else will and in the end I'll say "Oh, now I see!". "I missed that!" and in that case I'll tear this thing down in a heartbeat. I know how I felt when I first saw the fine print and typed in "Walnut Creek" and then "Oakland" and then "Berkeley" only to find out that no matter what city I entered, if it wasn't "San Francisco" oro"Tiburon" or "Mill Valley" the pay was significantly less. I felt duped. That's the best word I can think of other than "tricked" or "mislead" or "scammed". 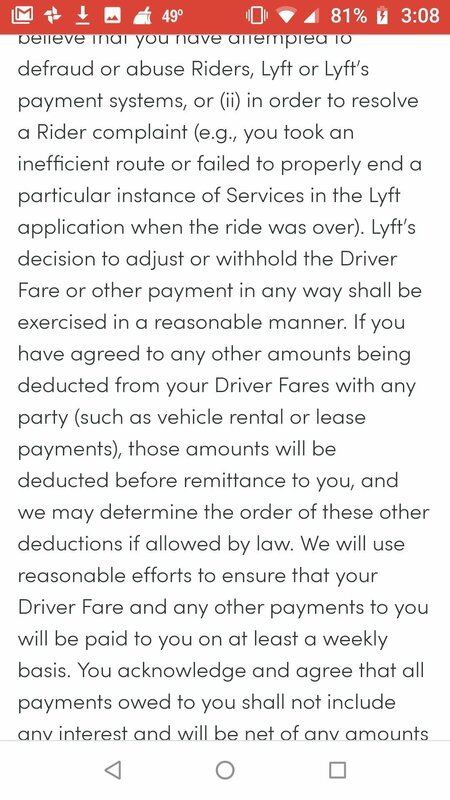 And also, I was disappointed in Lyft as a company and I felt like a sucker because I fell for it. Well, that's life I guess. Sometimes there's nothing you can do and you just have to deal with it, right? 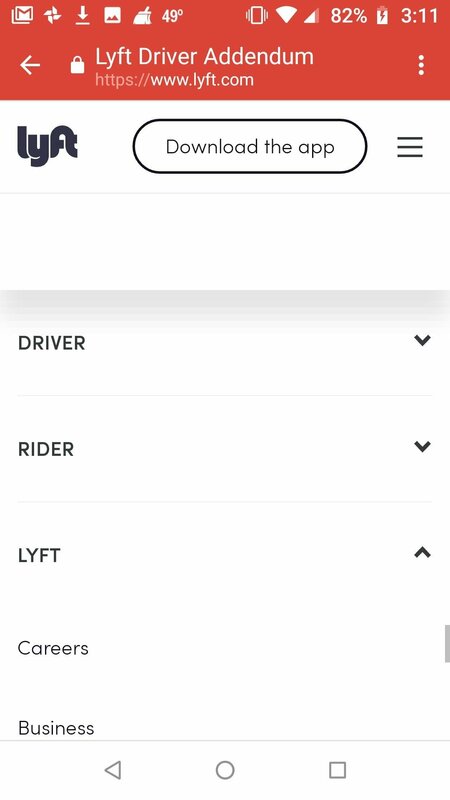 I really hope one person from Lyft or a driver on your Council reaches out and says this magic words that would take my pain away: "We're sorry, we'll have it fixed by the end of the month"... Or "updated". I would totally be happy with an update. Thanks for reading this, folks. Have a nice IPO. Nobody's perfect and life will go on. At this point I'm relieved and you know, I do hope it goes well today for Lyft. and mayb they will implement dashcams/licence plate readers in the app one day and this won't just be an utter waste of time. I hope so. Like I said, I'm a Dreamer. Sometimes a guy just needs to vent! 18) Well, that wasn't easy! Whew! I will spare you the details of the pink link extra extra fine print.... Did any of that make since to you if you actually read it? Did ANYONE read it? 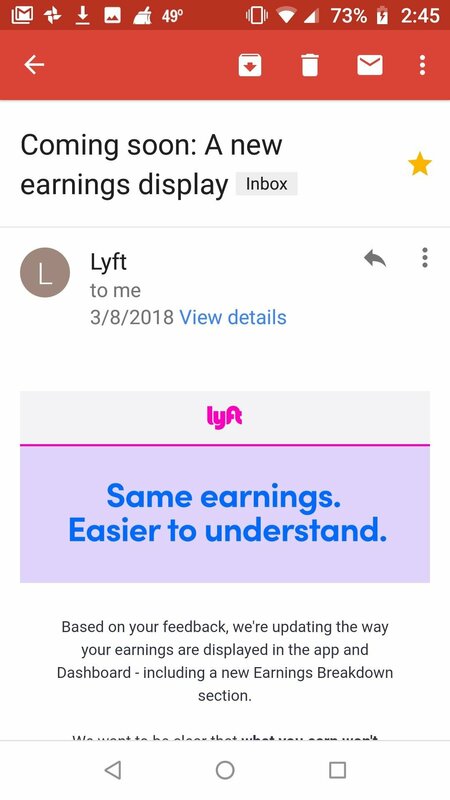 Did it in anyway coinincide with the "nice, easy to read email that was all "unicorns" (lol) and "rainbows" that the bulk of the email's message to driver's portraid or did that fly right over your head like it did mine?! Who reads the fine print, especially when it's not only long, mumbo jumbo to most people and burried deep at the bottom a a "fluffy" "nice" and "heartwarming" email.... Am I wrong or was that not that came across as a "we love you" letter until the end... The end where I just put you through 17 pages of the "addendum", which probably 99% of drivers and 99% of readers here today NEVER READ? Well, I read it. I had too because I'm writing this article and "Yes, they do mention "Sub-regions" in "larger markets like San Francisco" so I believe what we have here is a failure to communicate. No lawsuits, no legal recourse, just one more driver who's left with a bad feeling in his stomach and a bad taste in his mouth. 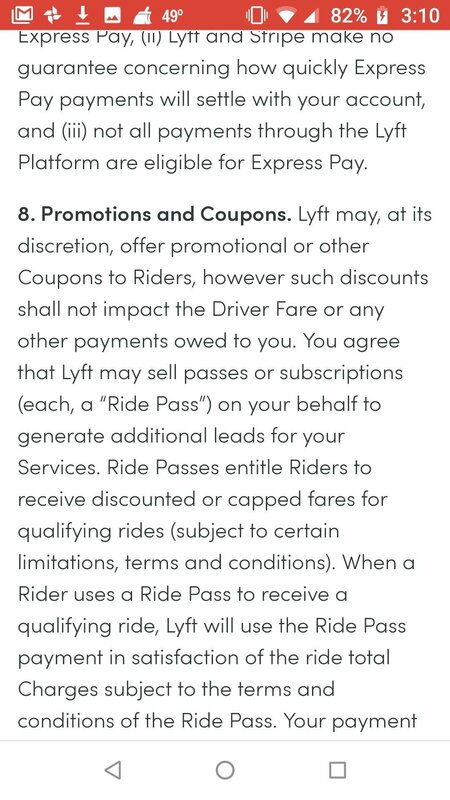 Do the right thing Lyft.